ACER Philippines will be giving away Free Samsonite Carry-On Luggages for purchases of qualified Acer products until the 30th of June, 2018 for their Back-to-School promo. 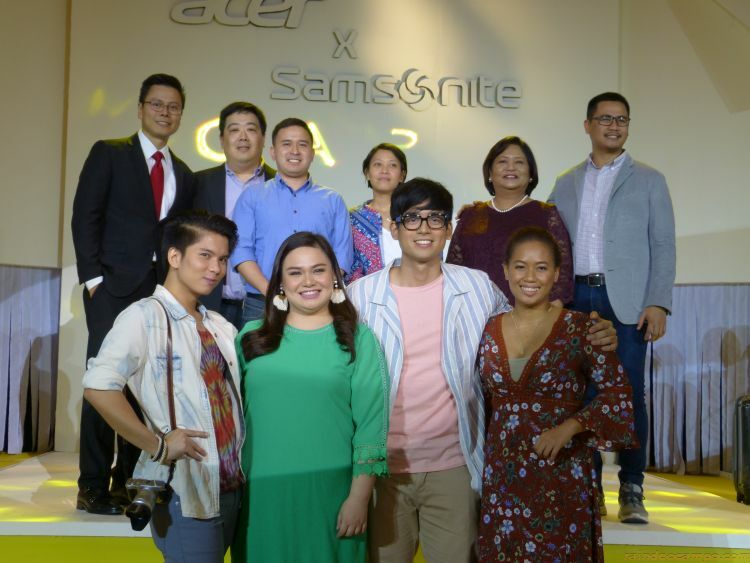 The promotion which mainly targets the travel-prone millennials was launched last Tuesday at the atrium of the SM Mega Fashion Hall which also debuts the #CarryOn campaign video of the Acer Philippines and Samsonite Philippines partnership. Directed by Irene Villamor, known for her works in Camp Sawi and Meet Me In St. Gallen, the short film depicts how today’s young professionals turn to travelling as a way to cope and re-energize in the face of the stresses in their daily lives. The full video is now live at the Acer Facebook Page. 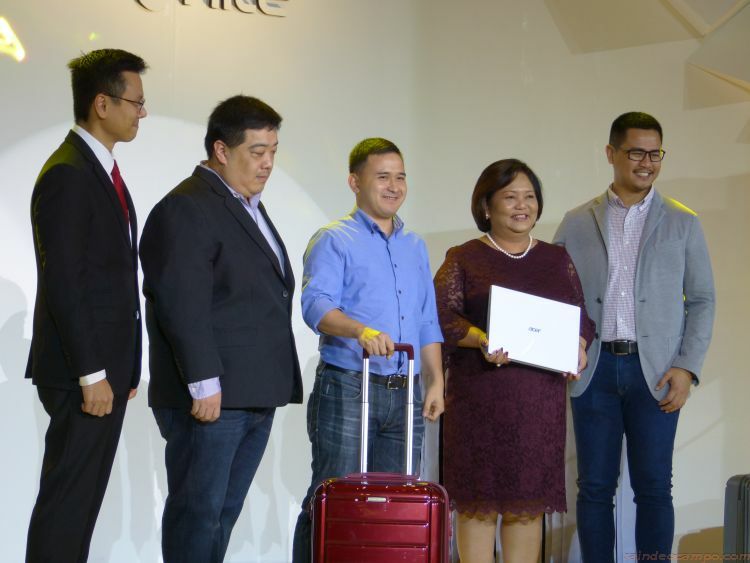 Also present during the event are Mr. Diogenes Vasquez, Products and Operations Director of Acer Philippines; Ms. Ciely Buenviaje, Country Head of Samsonite Philippines; and Mr. Ray Gozon, Senior Marketing Manager of Acer Philippines. Seeing the world’s biggest generation’s constant thirst for adventure and new experiences, Acer uses travelling as a motivation to inspire the youth to do well, whether in school or in their professions. Aptly called “#CarryOn”, the Promo encourages the youth to power through the hurdles they encounter in pursuit of their dreams and goals. The travel-themed event at the SM Mega Fashion Hall featured various activities like electronic wall puzzles, picture quizzes, VR sight-seeing and digital scrapbooking. 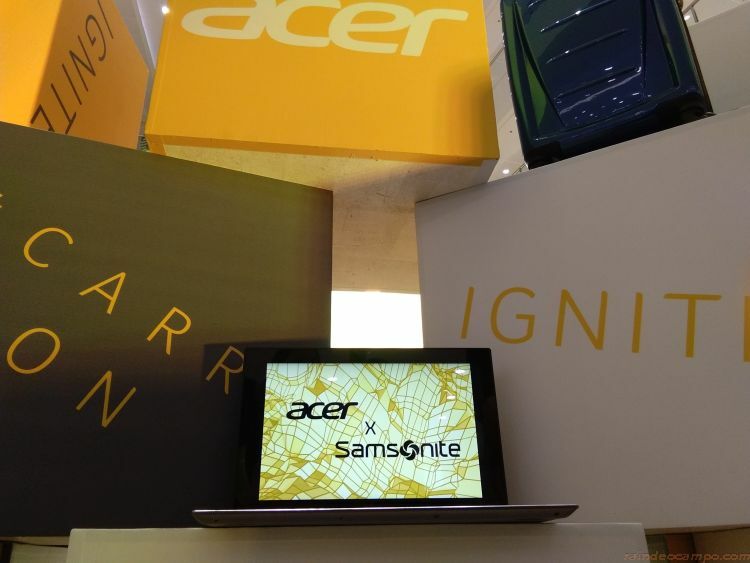 Acer and Samsonite also showcased some of their latest products in the venue.